Favored Equipment and clothes: Mandalorian Armor, dual blasters, flame thrower, Jet Pack, Wrist rockets. Thodall stands at an average 5’9 with short blond hair that is kept in a military esque fashion. He is clean shaven and has bright blue eyes. His body is that of a smaller more athletic build that has seen nothing but years of constant training and combat. Thanks to his armor he has few scars or any lasting injuries. The armor itself shows few signs of wear tear from being cleaned constantly and well kept over its short years of service to Thodall. Report on skills and talents, including level of skill. 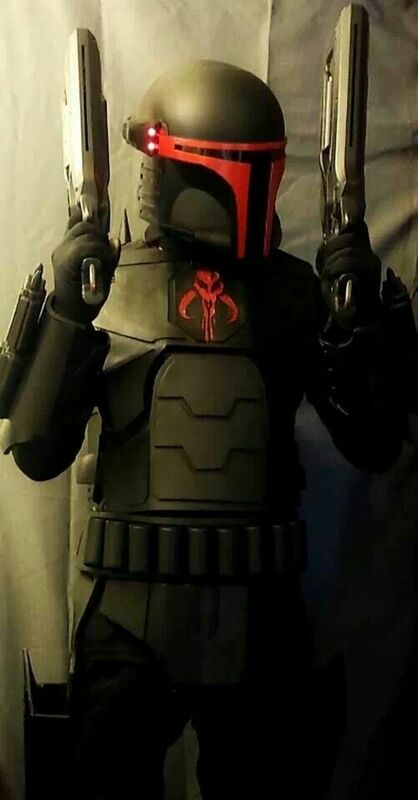 Thodall is a expert when it comes to close range fighting using a combination of his dual blaster pistols and a variety of other tools hidden in his Armor. Seeing it as the honorable form of combat he has focused most of his training on this aspect of combat. Thodall is a decent pilot by most standards and could be seen as a formidable opponent though he would easily be outshone by higher end pilot from either the republic or the Empire. Thodall is quite skilled when it comes to tracking targets and surviving on noramly inhospitable planets. Part of his compulsion to take care of all his equipment Thodall is very skilled mechanic with just about anything that it mechanical. Opinion on the Neo Crusader movement vs traditional Crusader? Prefers the organization of the Neo Crusaders over the nomadic ways of his past ancestors. Detailed notes on common/favored employers and any noteworthy contacts. Will work for just about anyone for the right price. Prefers Jedi to Sith as they tend to have more honor to themselves. Detailed notes on known rivals and enemies. List and description of other known associates outside the Clan. List of known belongings, including but not limited to planetary surface property, civilian and military vessels, vehicles, weapons, tools. Thodall like all true Mandalorians takes large amounts of pressure in combat and war in general. He does seemed obsessed with both his personal honor and the Honor of his clan. He does have a short fuse at times allowing his anger to get the better of him. Oddly enough Thodall seems mostly calm when at work on his armor. All known interests of the warrior. Reputation, Honor, and strength as any good Mandalorian does. Personal biography, as detailed by the subject for use in Mandalorian archives. Acquired shortly after last achievement of note.